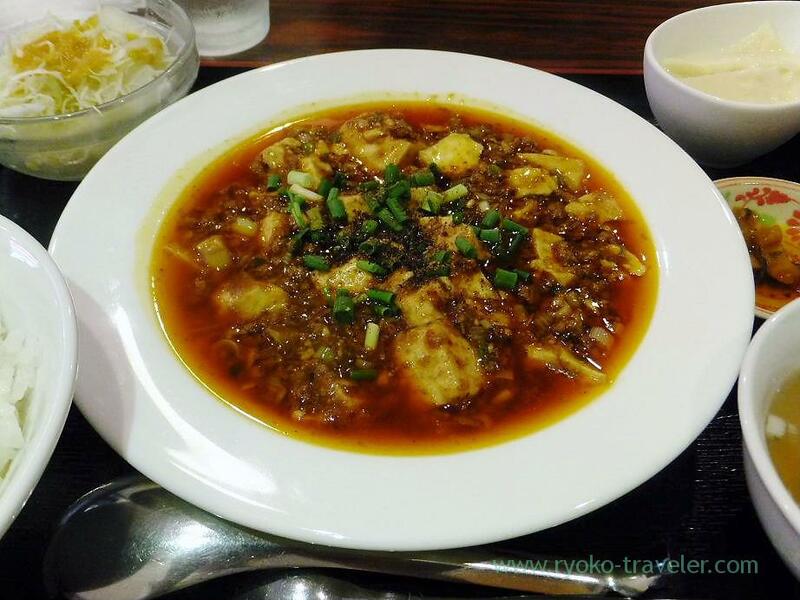 I wanted to eat spicy mapo doufu, so I went to Chinese cuisine restaurant that named Manzan near Makuhari-hongou station for lunch. 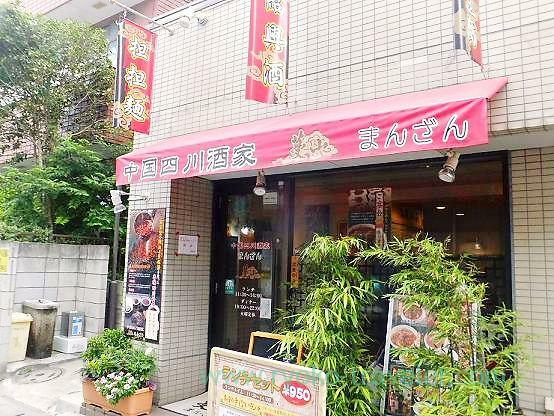 It is a Szechuan cuisine restaurant. When I feel like eating hot foods, I usually go to the restaurant. 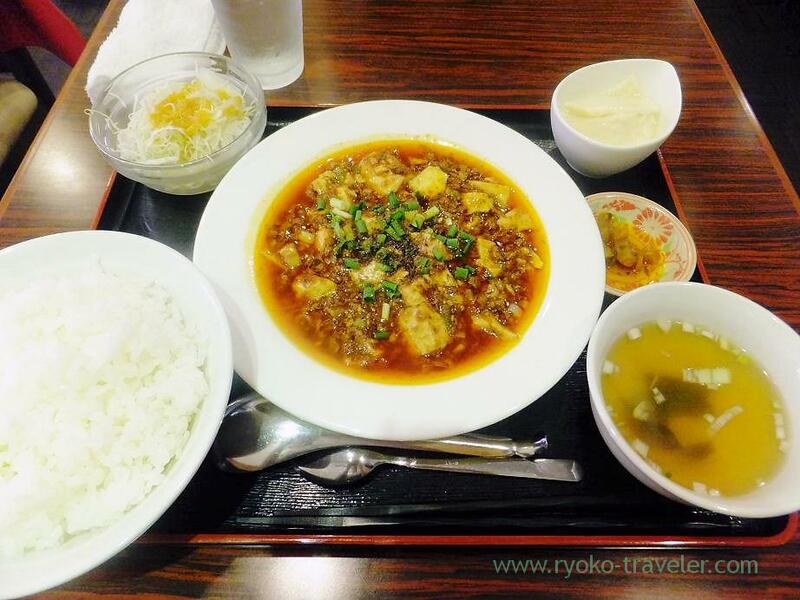 I ordered a Chen Mapo tofu set (陳麻婆豆腐セット, 950 yen). It doesn’t seem hot from this picture. But many sichuan peppers were on it, and it choked me. Also almond jelly was good. I like this restaurant’s almond jelly so much.